A Cluttered Life: Searching for God, Serenity, and My Missing Keys is one of those books that serendipitously, and by complete coincidence, came into my life at just the right time. This memoir tells of the journey embarked on Pesi’s fiftieth birthday—the day she realized her entire life was comprised of clutter. Ironically, I am somewhere around that age myself and have been struggling with my own piles of clutter. Not just the mess from a busy weekend—I’m talking about piles of papers and stacks of boxes filled with “treasures” waiting for just the right project or just the right shelf. Like any good clutterer, or procrastinator, the book was a welcome diversion. I laughed out loud, wept, and sat at my desk nodding like a bobble-head. I had found a kindred soul and through her words I gained a glimpse into my own heart. A Cluttered Life: Searching for God, Serenity, and My Missing Keys is the story of the author’s complicated relationship with the physical world—a strange entanglement in which she is repeatedly drawn to the abundance that creates clutter in her life and then overwhelmed by the chaos that inevitably grows out of it. Determined to create a simple and orderly life, Pesi tries to free herself of the excess baggage she carries with her—only to discover that simplicity is not so simple and what constitutes clutter is not always perfectly clear. Insightful, unsettling, and wildly funny, Pesi’s memoir explores the day-to-day challenges and deeper meaning of a cluttered life. But what begins as an exploration into the world of clutter ends as a tale of healing and spiritual growth—and an ode to friendship. Book Giveaway Contest: If you would like to win a copy of A Cluttered Life: Searching for God, Serenity, and My Missing Keys, please leave a comment at the end of this post to be entered in the random drawing. The giveaway contest closes this Thursday, January 19 at 11:59 pm PST. For an extra entry, link to this post on Twitter with the hashtag #ClutteredLife, then come back and leave us a link to your tweet. We will announce the winner in the comments section of this post on the following day Friday, January 20. Good luck! For more information visit: http://www.aclutteredlife.com/ or http://www.sealpress.com/. WOW: There has been a lot of talk lately about hoarders. They seem to be all over the media—especially on the graphic reality shows. What is the difference between hoarding and cluttering—and where do you fit in? Pesi: Hoarding is a lot more serious than cluttering. It’s actually a psychiatric condition that’s now regarded as a form of OCD (obsessive-compulsive disorder). The shows we see on television these days usually portray extreme cases of pathological hoarding. Most of us who struggle with the “stuff” in our lives are basic, garden-variety clutterers, not hoarders. Our time and our space are simply filled with too much, and it begins to feel unmanageable. I would definitely put myself in this category. And while I may have more serious issues with clutter than most, thankfully, I’m still far from the level of hoarding. WOW: At what point in your clutter-busting project did you realize you had a book in the making? It was the place in which I stored everything I owned that defied classification. Whatever didn't fit neatly into one category or another landed in this holding area, where it generally remained untouched until I moved to another home and created the room all over again. It had become a living testament to my chronic procrastination and inability to let go; but now that I was in the throes of clutter-busting, I believed I was finally ready to remove all that excess baggage from my life. However, once I got started, I found myself unable to part with anything. I was suddenly overcome with a wave of love for all these objects and a personal identification with their plight. They couldn’t be easily reduced to a label that gave them permanent residence in this drawer or folder or on that shelf; and, so, they were forced to remain in this no-man’s land. Not unlike my own state of affairs. I soon found myself reuniting with these lost parts of myself; and my anger toward them and what they represented began to change to a feeling of love and compassion. At that moment, I realized that my relationship with the clutter in my life was far more complicated than I had ever imagined—and something I wanted to explore in greater depth. With that, I knew there was a book in me waiting to be written. The actual book—with all the delays and distractions one would expect from someone writing about a cluttered life—took over a decade to complete. At first, I conceived of it as a loosely woven collection of essays on the subject, but as time went on and I realized how much the issue had come to dominate and define my life, it evolved into a memoir. WOW: In your book, you mention that the memoir started out as a book about your relationship to clutter, then it became more about your search for a deeper spiritual connection, and in the end it seems to be about the friendships you hold with an amazing group of women. Tell us more about your experience of this transition. Pesi: I had always suspected that my spiritual journey was being obstructed by my lifelong battle with clutter, but I never realized the extent of it until I started to write the book. As I delved more and more deeply into my issues with the physical world, the focus suddenly began to shift to the spiritual dimension. Instead of wanting to explore my relationship with clutter, I found myself wanting to explore the relationship with God that my clutter seemed to be standing in the way of. In the end, I did a bit of both; but the spiritual piece really became the heart of the book for me. The biggest surprise, however, was the role that my friendships played. Writing about the very special women who guided me on my path—the Holy Sisters, as I call them in the book—I came to understand just how important their willingness to accompany me on this journey turned out to be. Living with chronic mess creates shame, and shame can be very isolating. The first step in healing for me was to allow my friends in to see the mess that was lurking beneath my seemingly normal exterior. As a result, not only did my Holy Sisters help me find my way through the clutter, but they also helped me reach a deeper level of trust and intimacy in my relationship with them. And, in the end, that was really what mattered most. WOW: You’ve written textbooks, anthologies, and now your memoir A Cluttered Life. What was your experience writing your memoir compared to that of your previous works? Pesi: None of my previous writing prepared me in any way for the very naked experience of writing a memoir. I had always felt safe in the written word, exploring an interesting topic or searching for just the right turn of phrase. I was able to maintain the comfortable illusion of being in control while I enjoyed the creative process. But when I began to write my own story, I suddenly felt vulnerable and alone. It called for a new level of honesty, and I found that level intimidating and very scary much of the time. I still do, but I try to reach for it anyway. WOW: Can you share some tips on the publishing experience—how to choose a publisher or pitfalls to look out for? Pesi: I think most writers these days don’t choose publishers; we’re just hoping that someone halfway decent will choose us. 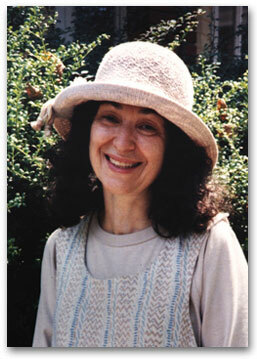 My agent, Jane Dystel, was really wonderful; and she did a great job of getting my book proposal into the right hands. I was very lucky that the first publisher who was interested turned out to be Seal Press. They’re a division of Perseus Books that handles books by women and for women, and everyone there (all women, of course) was a delight to work with. But, to tell you the truth, I would have gladly gone with anyone who wanted to go with me. The biggest pitfall, I think, is our own sense of hopelessness and despair. After dozens of rejections, it’s hard not to become disillusioned, but I tried to think of it as a love affair: You wait and wait and wait for the right person to come along. Sometimes you give up and settle for less than what you really want, and sometimes you hold out for just the right one. But while you’re waiting, there’s always this exciting possibility that the person you’re looking for is just around the corner looking for you. That’s how I tried to think of my future publisher—and, sure enough, they did finally turn up one day and fulfill most of my fantasies. WOW: In a very short time you’ve gone from being a university instructor with no cell phone to being a published author with a FaceBook page and listings at SheWrites, A Room of Her Own, GoodReads, etc. How have you adjusted to this new lifestyle? Pesi: Not very well, I’m afraid. I’m still a pen-and-paper girl at heart. I may have a website and be on FaceBook—but that’s only because my publisher put me there. The truth is I never look at my page or anyone else’s. And whatever readers’ and writers’ groups I’ve joined online have received minimal communication from me. Personally, I find the whole thing overwhelming. Maybe I’ll get more plugged in one of these days—or maybe not. For now, I’m just grateful that I can respond to your emails without having to call the Apple Hotline for help every day. WOW: You aren’t alone—there are many of us struggling to adjust to all the technology now involved in the writing profession. Women, and writers, can learn so much from each other. Having crossed over that fifty-year threshold, what words of wisdom would you like to pass on? Pesi: Never give up on your dreams. I’ve always been a late bloomer, and most of the miracles in my life have taken place just before the closing bell rang. I believe that every day presents us with new opportunities to grow and recreate ourselves—and to bring more light and kindness into the world. I wake up every morning grateful for another chance to accomplish what I didn’t get around to doing in the first half of my life. WOW: Beautifully said, thank you. So, what’s next? Do you like to peek into people’s closets to find out more about them? Join Pesi Dinnerstein for a peek into hers! All you want is a simple life so why is it so complicated? Come commiserate with Pesi! Also, Nichole shares her review of A Cluttered Life: Searching for God, Serenity, and My Missing Keys. Find out how an unsettling dream led Pesi Dinnerstein to write her first book. Join Pesi Dinnerstein for a talk on adding more “verbs” to the chapters of life. She’ll be giving away a print copy of A Cluttered Life: Searching for God, Serenity, and My Missing Keys. Author Pesi Dinnerstein shares her musings on “If I Could Live My Life the Way I Drive My Car.” One lucky visitor will win a print copy of her memoir A Cluttered Life: Searching for God, Serenity, and My Missing Keys. In her memoir, A Cluttered Life; Searching for God, Serenity, and My Missing Keys, Pesi talks about feeling she didn’t have time to deal with her clutter because she was busy looking for answers—only to find out that the answers she had been seeking were there in the clutter! Join the author for a talk about her journey and a chance to win a copy of this funny, heartfelt memoir. Pesi talks about the boundary issues hiding in the clutter. Book Review & Giveaway! Come join us at the National Association of Memoir Writers where Pesi will share the experience of writing and publishing her memoir. Linda Joy Meyers is hosting an interview today and someone will win a copy of A Cluttered Life: Searching for God, Serenity, and My Missing Keys! Come laugh with Pesi as she discovers where she’s been hiding! Pssst...you might leave with a copy of her book. Pesi discusses creating reality through illusion during her visit at Books, Books, the Magical Fruit. She gave her inner demons a pen and a piece of paper and it changed her life. Come listen to her tale and enter to win a copy of A Cluttered Life: Searching for God, Serenity, and My Missing Keys. Come back Friday for an interview! Come over to the Empty Nest! Pesi reflects on the struggle to remove the clutter from her life and her writing and Momma Loft shares her review of A Cluttered Life: Searching for God, Serenity, and My Missing Keys. One lucky reader will win a copy of Pesi’s memoir! Want to market your memoir? 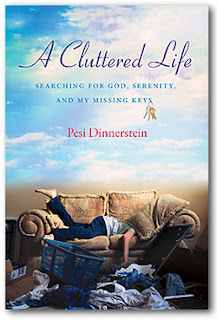 Join the ladies at Women’s Memoirs for an interview with Pesi Dinnerstein about her experience marketing A Cluttered Life: Searching for God, Serenity, and My Missing Keys. 1. For your first entry, just leave a comment on this post! Leave a comment or ask Pesi a question to be entered in the random drawing. 2. For an extra entry, link to this post on Twitter with the hashtag #ClutteredLife then come back and leave us a link to your tweet. The giveaway contest closes this Thursday, January 19 at 11:59 PM PST. We will announce the winner in the comments section of this post the following day--Friday, January 20, and if we have the winner's email address from the comments section, we will also notify the winner via email. Great! I'm the first to comment LOL. WOW, clutter. This book just speaks to me. I live a cluttered life and sometimes it is just so overwhelming. I too have items that I just can't pigeonhole so they stay lumped together, either hanging out in my studio, in my little workroom (which I can hardly get in the door to much less work there), or in my dining room and spare bedroom. What with several Etsy stores & a physical location in an antique mall, my inventory has taken over my life. Combine that with all my crafting/hobby supplies, we are talking serious clutter. Nope, not hoarding (most areas of my house are neat) as I am more than happy to sell items or use them up, but there is so much that I just "might need one day" for this or that project (I have several hobbies). It's reinforced by getting rid of things on several different occasions only to need them months down the road. This sounds like a really interesting read and one that definitely applies to my life. Great interview - thought-provoking and inspiring. Gives us hope that we also can take care of the clutter in our lives! A book we all probably need and one I would love to read! Pesi's book and the thoughts she shared are inspiring. As I work full-time as a teacher's assistant at the local elementary school I aspire to be a published author and speaker to help others heal after the loss of their siblings. Pesi has provided the pick-me-up everyone needs on a Monday morning. :) Thank you! What an inspiring read for the Monday morning blues. Can't wait to read this book! I've had that "holding room" in every house I've lived in, too. I think in my situation I've made peace with my unclassifiable clutter, and only wish my husband would. To me, these objects are all potential elements of my next creative pursuit; to him, they're yard sales waiting to happen. i really enjoyed reading about this book. i've fought clutter all my life, and in the last few years i feel like it's winning and i'm losing. it's absolutely a barrier to a more peaceful, meaningful life. i can't wait to read the book, it sounds very insightful. thanks for posting the interview, it was most interesting. I was interested in the book just from the title, then when I saw that she contributed to the 'small miracle' series, I had to comment! Those are wonderful books, I've bought and given away more copies than I can remember. I can't wait to read her book! I will tweet and post to my FB page also! Yep,,,that "last room" really resonated with me. Mine has now become the entire basement,,,it's like the horror movies when a creature lives in the basement so you never go down there! What an interesting interview and fascinating author. I would love to win this book! Great book title and fun interview. We've been scaling down and scaling down and scaling down...there is definitely a spiritual aspect to getting rid of clutter so better "things" can flow to you. But it's a continuous battle to keep things simple...I would love to read this book. I'm intrigued that God might be hiding in amongst the "clutter, " but there's NO doubt that serenity is!! Purging is a highly emotional process that requires total disconnect or a strong-willed friend. Or both! I hope this book shows up at my library (if not in my mailbox!!) Good luck to Pesi. Wow, this book sounds like something that could help a lot of people get to the root of their problem. Lot to be learned from this in dealing with a cluttered mind and house. How timely for me! I've been on a massive and intense decluttering mission myself, and it's as if OCD and ADHD got married. The wonderful thing is how freeing it feels to let go of old stuff I no longer want or need. It's a long process though, and I'd love to win this book to help keep me motivated on the journey! It sounds great. I'm happy to meet you, Pesi. De-cluttering has been and still is a big part of my now-long life! I love memoir, and this sounds like one I would like. It's now on my list. I love reading and I hate clutter, so this would be great for me, thanks! This looks like a wonderful book! Thanks for the giveaway. This definitely sounds like a book for me! I'm also a clutterer and Pesi's story sounds inspiring! I look forward to following the blog tour too! I am certainly more of a "clutterer" and then it drives me insane and then I feel completely overwhelmed by everything! I also posted a Tweet about this, but I don't know how to paste the link here - still new to Twitter! I'm so happy to see that there are more of us out there than I ever imagined! For years, I felt too embarrassed to let anyone know just how out of control my clutter—and my life— actually were. Now, the thought of sharing the experience seems very exciting. Thank you all for your beautiful comments. I really appreciate your honesty and your insights, and I hope we can continue to support each other on this journey. And a special thank you to Robyn Chausse, who did such an amazing job of pulling this blog tour together—and, best of all, she's one of us! This is something I would so love to read. I know there is more to the clutter! It sounds fascinating and fun! I can relate to this! So much is buried beneath our "stuff" — cannot wait to read the book. I think it could help so many of us as well as being enlightening. Thank you for all your comments! :) We held a random drawing via random-dot-org for Pesi's book, and the winner is... Callie Kingston! Congratulations, Callie, you won a copy of A Cluttered Life: Searching for God, Serenity, and My Missing Keys by Pesi Dinnerstein. You're going to love this book! Please e-mail us at blogtour@wow-womenonwriting.com with your mailing address and we will forward it to Karen for you. I see your e-mail addy is included in your Blogger profile, so we'll also contact you there. For everyone else: make sure you check out the rest of the stops on this fun tour for more giveaways and inspiring stories from the author. Congrats to Callie! I'll be stopping by as many of the blog tours as I can! Pesi Dinnerstein's book, A Cluttered Life, is both lol funny and inspirational, not qualities one usually finds in one book. While Pesi writes about physical things that clutter her life, her book goes much deeper than that. Her incisive and poignant words caused me to look at "clutter" in a bigger context; clutter of the mind, clutter of the heart; ideas and feelings we store up and hang on to when we should "clean them out" and make space for new ideas and feelings more appropriate to where we are. This a great book on all levels; it's a book that can help change a life.